If mill valuations drop, residents of mill towns across the state could see with higher tax bills. 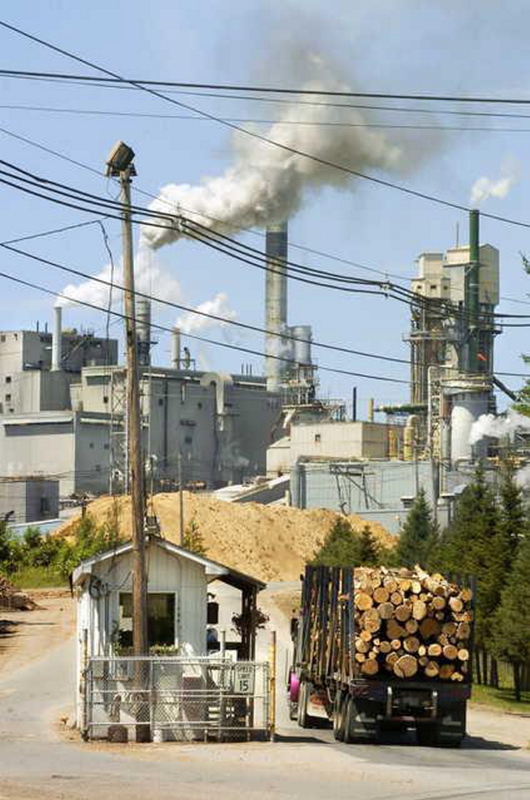 Several companies operating paper and pulp mills in towns across Maine say the local tax bills they’re paying are more than the buildings, property and equipment are worth to an industry that provides jobs for thousands and makes up a significant portion of the state’s tax base. Some of the companies, such as Sappi Fine Paper in Skowhegan and Madison Paper Industries in Madison, are negotiating the assessments with the towns that determine their property tax bills. The mills say they should be paying less. “The printing and writing industry is economically challenging right now, and so is manufacturing paper for that industry,” said Russ Drechsel, president and CEO of Madison Paper Industries. The mill, which contributes about 40 percent of the town’s tax base, is assessed at $229,703,700 and paid more than $3 million in taxes in 2013. If the assessment changes, it could raise the amount of money the town collects from residents, said Madison Town Manager Dana Berry. Town assessors are holding talks with the mill owners but would not comment on specifics. Madison homeowners are not alone in looking at a potential tax increase depending on whether the next tax assessment, which is usually finished by early August, means lower taxes for their local paper mill. Mill towns across Maine are facing the possibility that property tax shifts could occur, leaving residents with more to pay in the wake of lower valuations for industry. 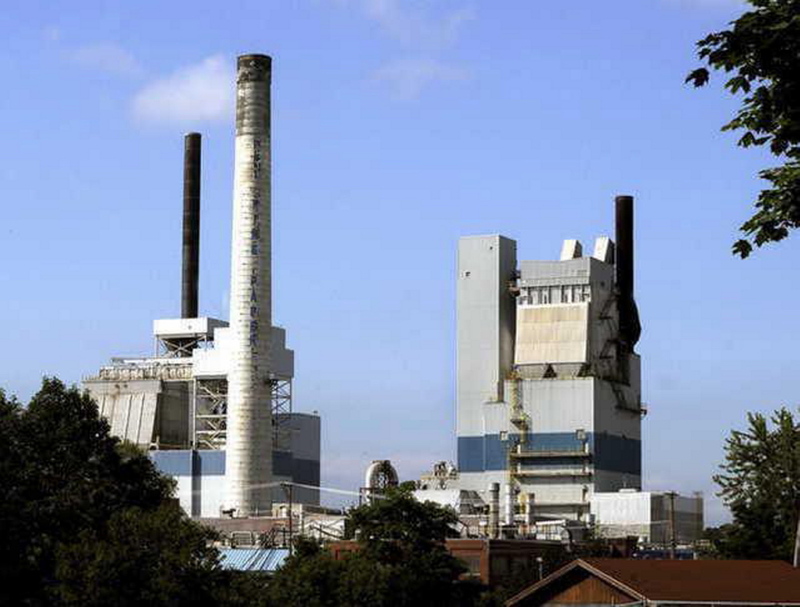 The potential changes also have several communities worried about the state of the paper industry – raising fears that the depreciating value of the mill buildings, property and equipment may signal the declining value of the product the mills produce and the uncertain future of the jobs they provide. In Skowhegan, residents recently approved appropriating $300,000 for appraisal costs and legal fees if the town cannot come to an agreement with Sappi Fine Paper, the town’s largest property taxpayer, on a new valuation. The company recently announced cutbacks of 5 percent of its workforce nationwide because of the challenging market and a need to reduce costs. Meanwhile, parent company Sappi has placed more emphasis in recent years on production of wood pulp to be used in the textile market. Industry executives say the paper industry faces many challenges – including increased energy costs, increasing competition in the U.S. and abroad, and stricter environmental regulations. Consumption of pulpwood and paper production are down in the U.S., according to the U.S. Census Bureau, which reports a decline of 97,052 cords of pulpwood consumed in 1995 to 72,321 in 2010. Total paper production is down from 39.36 million short tons in 1990 to 33.81 in 2009. William Van Tuinen, an assessor who works in Madison and Skowhegan as well as other places around the state, said he could not comment on the specifics of negotiations with any paper mills, but said that if the downturn in the paper industry is long-term it could affect assessments for mills. “Right now, at least in the printed paper business I think the industry is definitely feeling the effect of digital media making vast inroads into what used to be printed media,” he said. Assessment of a mill is a significant and expensive undertaking, and as a result most municipalities do not evaluate mills on an annual basis, said John Williams, president of the Maine Pulp and Paper Association. “I think in all of these cases the facilities are just not as valuable as they were 10 years ago, or whenever they were last assessed. That’s in part because there’s a declining market for the types of paper we make,” said Williams. However, the recent number of mills asking for tax abatements and reassessments is more an indication that the assessments are outdated than it is a gauge of the state of the industry, he claimed. Madison and Skowhegan are not the only municipalities facing requests for tax cuts – mills in Jay and Rumford are doing the same. Perhaps the worst-case scenario is in East Millinocket, where Great Northern Paper Co. closed temporarily in January, citing increased energy costs, and laid off 212 of the mill’s 256 employees in February. The mill owes more than $3 million to the towns of East Millinocket and Millinocket, where a sister paper mill was bought by the same company in hopes of turning it into a wood pellet manufacturing plant. The East Millinocket mill’s last papermaking machine is set to go to auction Thursday. Verso, which has two mills in the state, released its first quarter 2014 earnings last month, reporting a net sales decrease of $34.1 million or about 10 percent compared to the first quarter of 2013. The Androscoggin mill in Jay was valued at $928 million and paid just more than $11 million, or 69 percent, of that town’s property taxes. Town Manager Shiloh LaFreniere said the mill has already filed for an abatement for the current year and the town is working with Verso on a revaluation of the property and equipment. The last full valuation was done in 1997. “If their value is adjusted down, the taxpayers will have to make it up. The ratio gets shifted, if the industrial value goes down, the residential values go up for the percent of the property tax they pay,” said LaFreniere. It is possible the valuation of the mill, built in the mid-1960s, could be reduced because of the age of the property. In March taxpayers approved raising $300,000 for the expenses involved in revaluation of the mill. “It’s always something that’s in the back of people’s minds,” said LaFreniere. In Rumford, the NewPage Paper Mill has been discussing the valuation of the mill with the town since the beginning of last year and received an abatement earlier this year. The decision to revalue the Rumford mill was a local decision and not a companywide effort, said Tony Lyons, a mill spokesman. NewPage operates nine mills nationwide and is headquartered in Miamisburg, Ohio. The company emerged from bankruptcy protection in December 2012. Since the abatement was granted last month on a portion of the Rumford property, the company has 60 days to decide if it will appeal the new valuation.